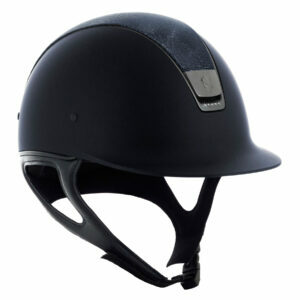 The Samshield XJ Riding hat is certified to ASTM 1163 SEI, PAS015 and VG1. The outer shell of the XJ helmet is made of pure carbon fibre, a composite material providing an unbeatable strength to weight ratio. The inner shell is made of polystyrene with a variable density providing a better dissipation of the energy produced upon impact. 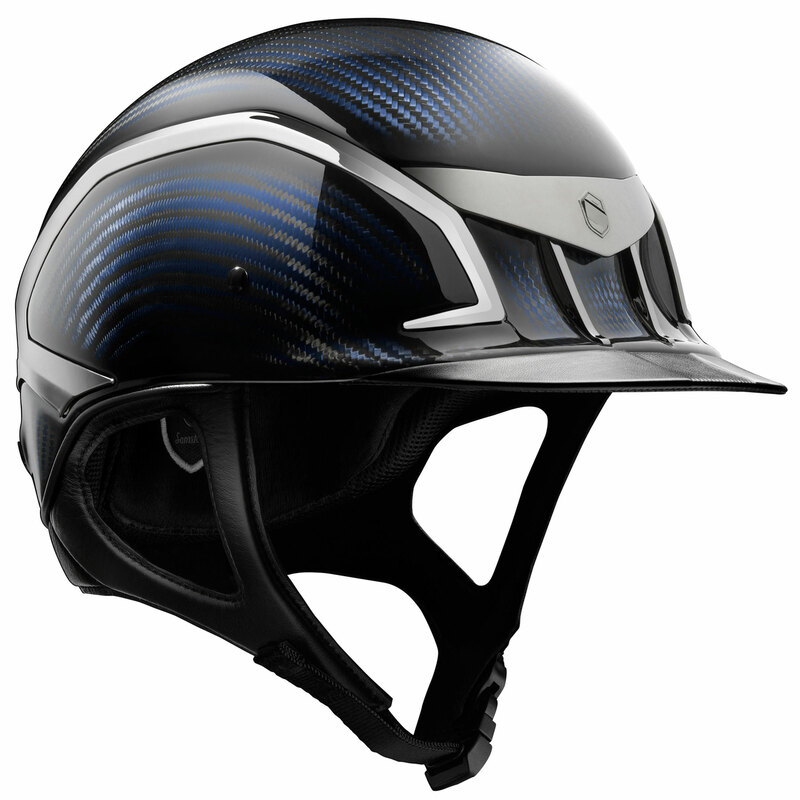 Equipped with two front air inlets, the XC helmet provides exceptional ventilation by channeling fresh air from the front entrance under the blazon. Fresh air expels the hot air to the back extractors around comfort liner, making minimal sweating! This concept generates a strong internal airflow avoiding the need for visible and unsightly air inlets. 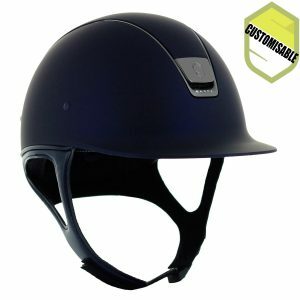 The internal memory foam comfort liner ensures a constant thickness over the years of use, while the semi-rigid jugular strap removes all risk of the helmet tipping upon violent movement. The removable memory foam liner can be washed at 30°C to ensure your helmet stays fresh and clean. 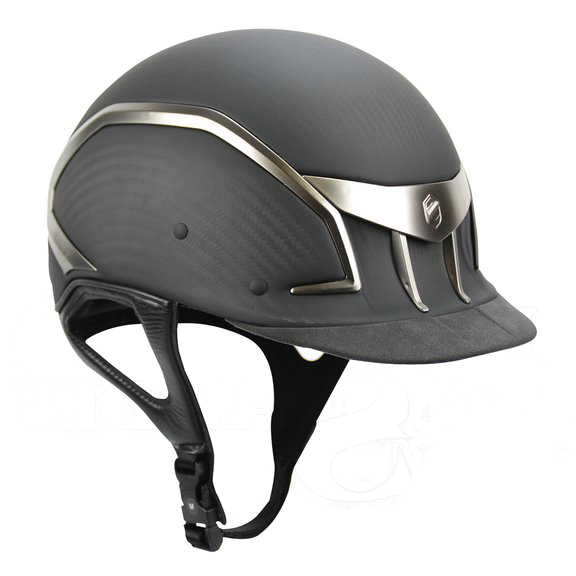 The removable liner system allows for growth in younger riders! 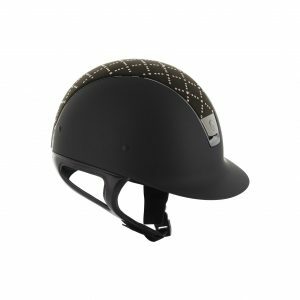 We hold a large number of helmets in stock, however if you have a specific requirement, or require a helmet as a matter of urgency, please do not hesitate to contact us to check our stock. Customised and non stock helmets are generally available within 3 weeks.